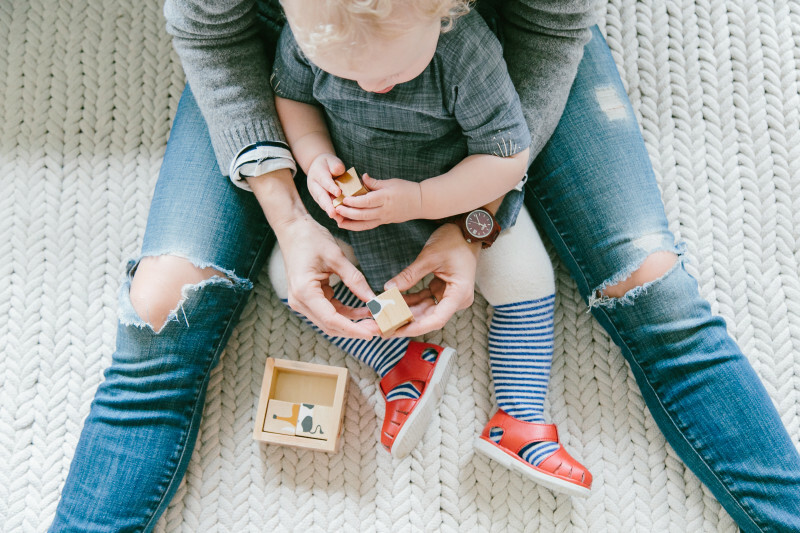 Moms who pull off balancing childcare and looking good while doing it are tremendously inspiring to us at Mother. 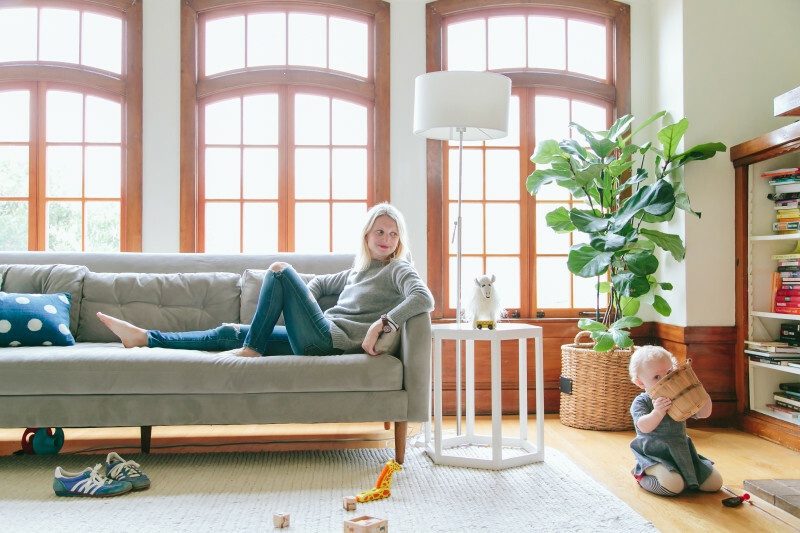 Which is why we’ve launched a new column, Mom Uniform, to get a peek into the closets (and homes) of some of our favorite fashionable moms across the country. 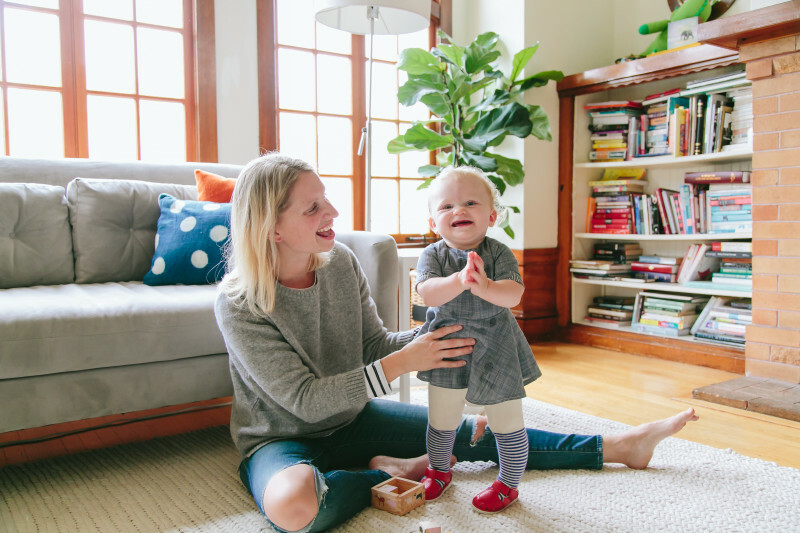 First up: Liz Stanley, the San Francisco-based mother of Edie, 1, and Henry, 7, and blogger behind lifestyle site Say Yes. 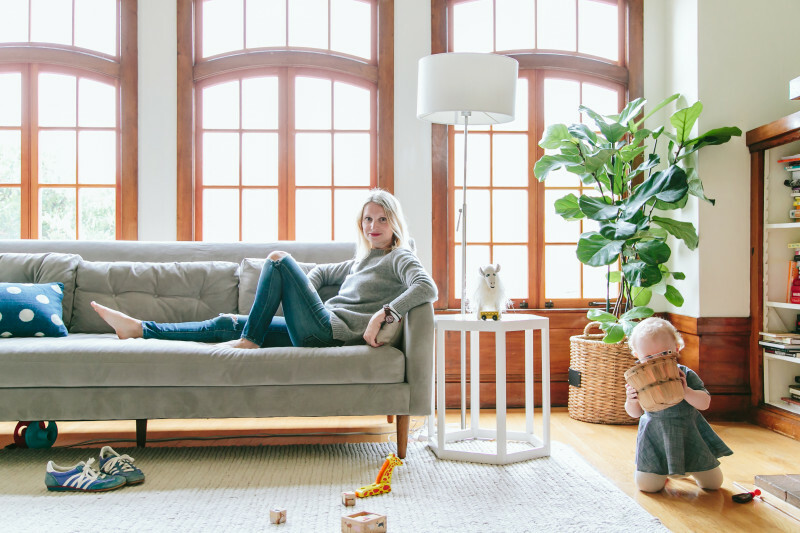 Here, she shows off four of her favorite go-to looks while we chat with her about work, motherhood, and style. "It's definitely become more laid-back and more sophisticated (i.e. I don't shop at Forever 21 as much anymore). 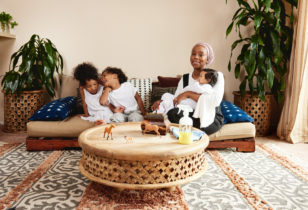 Although, I moved to California from New York a year or so after I had my first baby, so I can't decide if my style became more laid-back because of motherhood or because of Northern California! 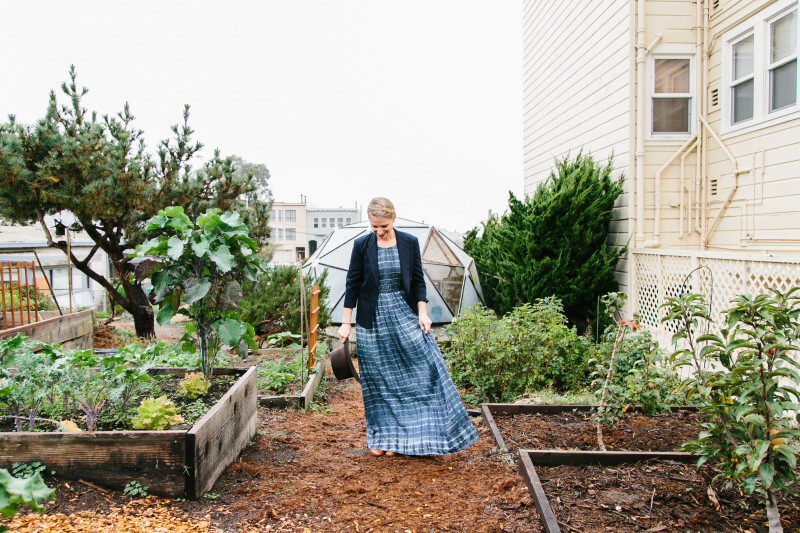 Guess we'll never know…"
Liz, in her community garden, wears a thrifted blazer (from the boys department), an Anthropologie dress she hunted down on eBay, and hat and boots by Madewell. 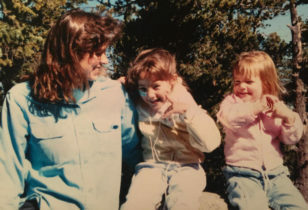 "The older I get and see how hard it can be to maintain your style as a mother, the more respect I have for older women, women in their 50s, 60s, and even 70s who somehow still look fabulous with effortless grace and subtlety." "Ripped jeans (okay, so I haven't become too sophisticated I guess), Bensimon sneakers, a white tee, and military coat. In S.F. a layer like that is a requirement year round!" "A work-from-home/day-to-day outfit look would be the 'mom uniform' outfit. A business/meeting outfit would probably be Madewell boots, Zara high-waisted jeans (non-ripped for a meeting, most likely), a black tank, blazer, or vintage jean jacket." Liz, in her living room with Edie, wears a Zara sweatshirt, Goldsign blue jeans she distressed herself, and a JORD wood watch. Edie wears a dress by Cauliflower Kids that Liz helped design, vintage shoes, and Hansel From Basel tights. 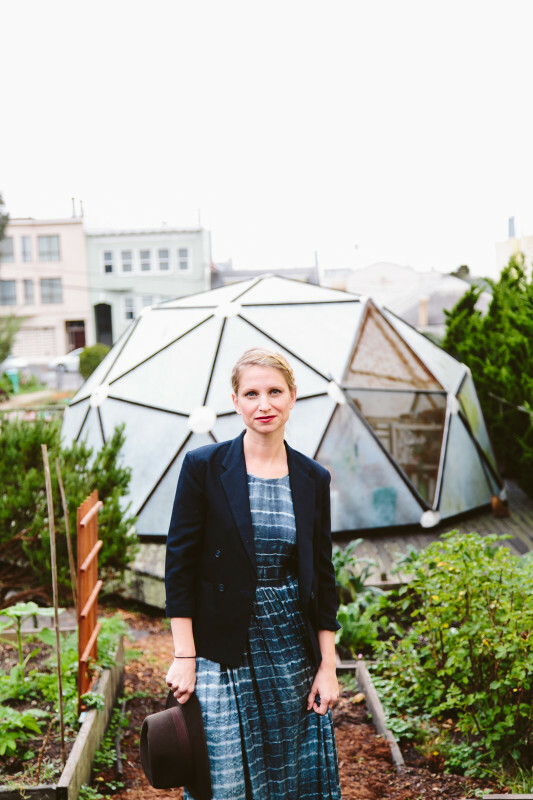 "I love shopping at well curated consignment stores here in the city, like Wasteland. I find so much great stuff there like the linen skirt I'm wearing in this shoot, the jean jacket, and this awesome black leather jacket that's incredible and was only $40. 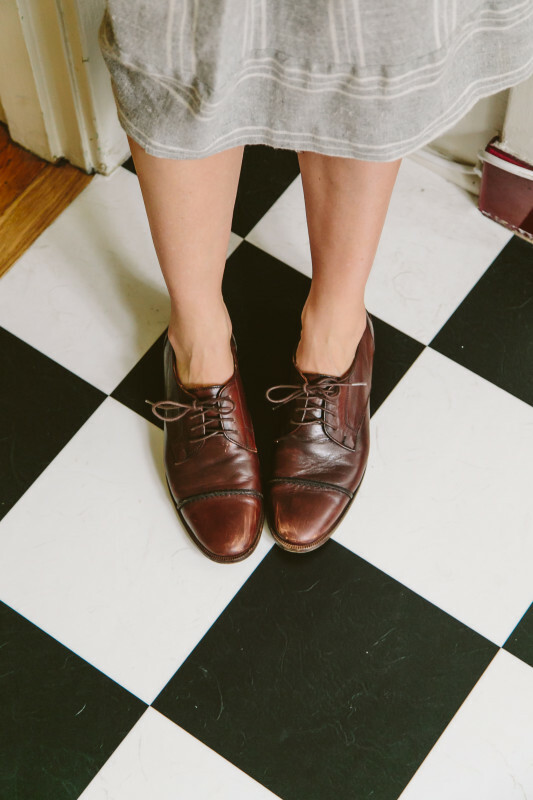 But besides consignment and thrift stores, I shop (and return) almost exclusively online." 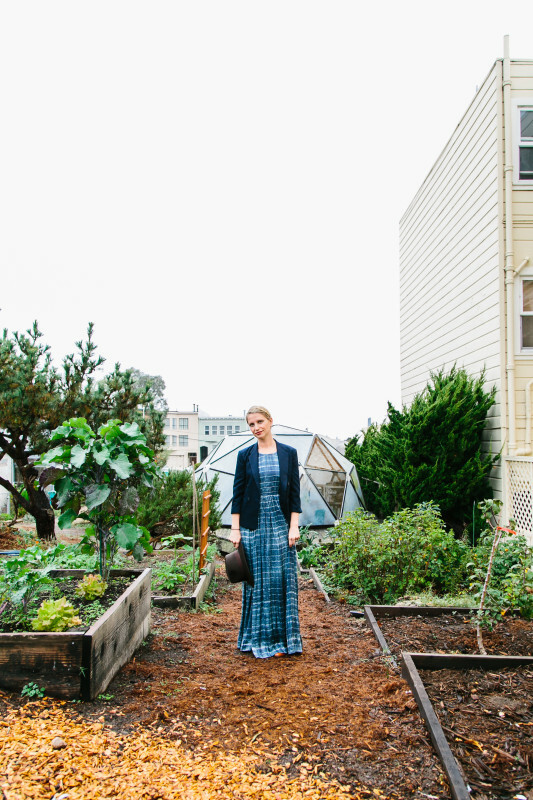 "I can't get enough maxi dresses and really good-fitting jeans. I also can't stop looking at car coats, ponchos, and wool hats. Although, I have a hard time actually pulling the trigger and buying them. For my 7-year-old son, cool sneakers and nice sweaters are always in my shopping cart. For my infant daughter, vintage-inspired classics, like rompers and capes, are my jam. I don't pay too much attention to designers for myself, but for my daughter I've been loving all those small companies that have managed to design beautiful classics that aren't overly feminine and sweet. Mabo Kids and Briar Handmade are two favorites I can't get enough of. " 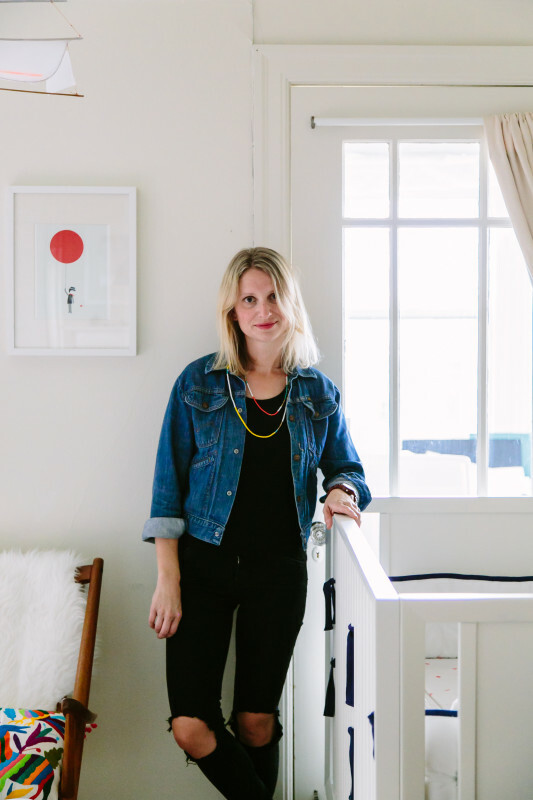 "I honestly had thought I wouldn't care about fashion or style once I had a kid. Growing up, my mom never bought clothes for herself, so I assumed I'd just end up like that. 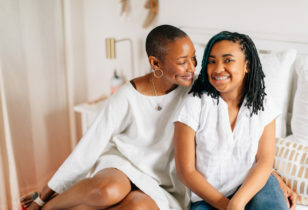 Surprisingly though, I feel like I can actually be a mom and have a sense of style and don't have to sacrifice too much, which has been a pleasant surprise." 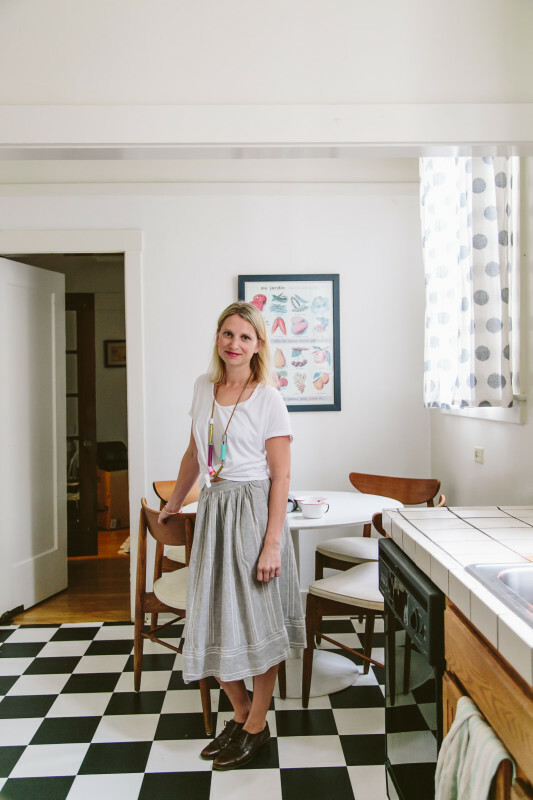 Liz, in her kitchen, wears an Everlane t-shirt, vintage skirt, Madewell shoes, and a necklace she made herself. "That's the greatest part—it's those little things that are most exciting. A first clap, a laugh at an older brother, watching them struggle on picking up grapes or learning to ride a bike. All those moments are just so sweet and amazing. Most nervous? Wondering and praying they'll grow up happy and confident and feeling loved. It's so hard to avoid mom guilt. Am I reading to him enough? Is he making friends at school? Does he know when I punish him it doesn't mean I don't love him? Is she eating enough fish? Am I eating enough fish?" "It's been amazing. We waited so long for our second, it's just magical. An adjustment, sure, but an incredible one. They are so sweet with each other. It makes me want to have ten more." "I have so many mom friends whose style I love! 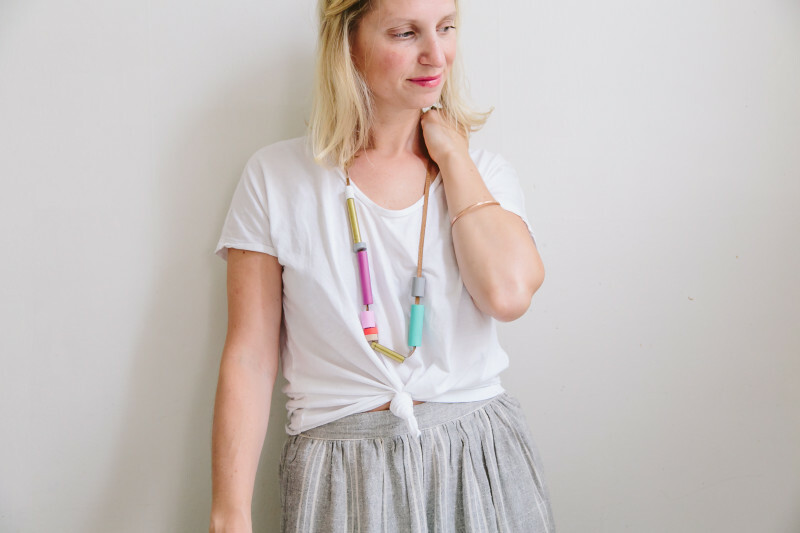 One of my very best friends, Kendra Smoot, is an incredible mother and has the most amazing style that's understated and sophisticated, but totally cool. I always get great ideas on how she pulls together looks when we spend time together. Another friend of mine, Lena Corwin, has the most incredible laid-back California vide going on (even at 8 months pregnant!). 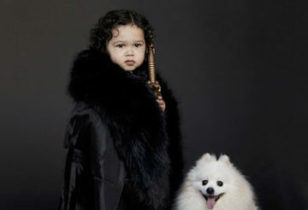 I'm so inspired by both of them." 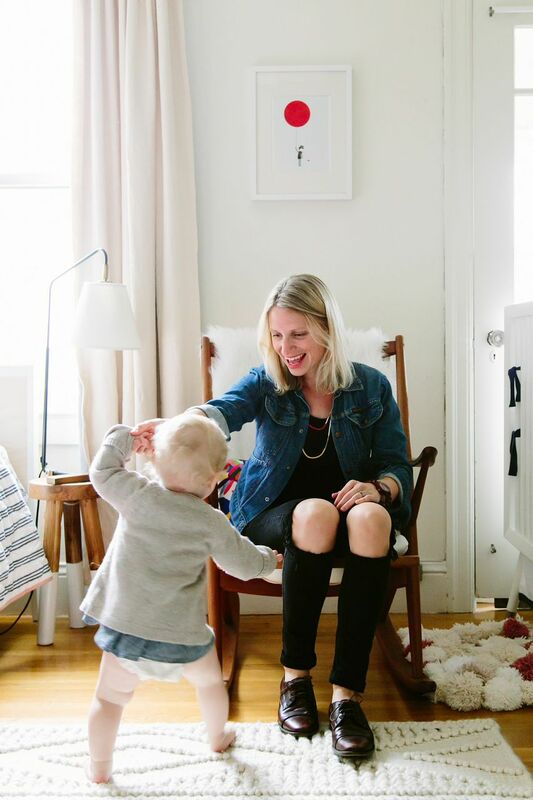 Liz, in her kids’ amazing shared space, wears a t-shirt and jeans by Zara, DIY beaded necklaces, and a vintage jacket. Edie wears a Mini Boden cardigan. "I love that I can work from home, create my own hours, and decide on my own projects with a team of inspiring women that I love and respect. 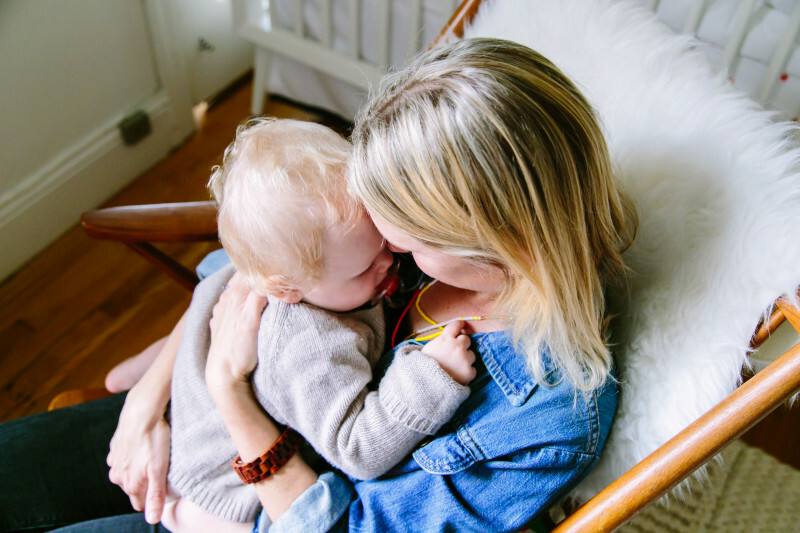 I love sharing and creating and exploring ways to hopefully encourage others to do so, as well, in their experiences as a mother and in their home. I love the creative process that happens when I'm in the middle of a project that's not quite turning out how we expected. It's exciting and challenging to be in that moment of creativity and tap into that in the moment. I love every part of my job, from the creative brainstorming to the photos, styling, pitches, editing, and interacting with readers. I feel lucky to be able to do what I love every day." "Don't beat yourself up. Don't read too many forums. Talk to a few friends, read a couple good parenting books (no more than two), but don't let it take over your life. Don't lose yourself in it. You'll be amazing without that stuff."